The Ulusaba Private Game Reserve is a phenomenal sanctuary within the Sabi Sand Game Reserve in Mpumalanga, South Africa. 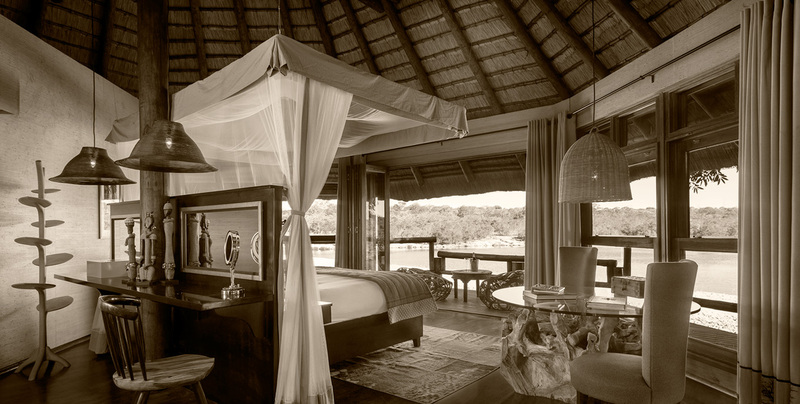 A luxury safari owned by Sir Richard Branson it is proof of his commitment to making a difference. This is through advocating sustainable development, environmental conservation, and improving the lives of others. To uncover the beauty of South Africa and the Shangaan culture to the rest of the world. 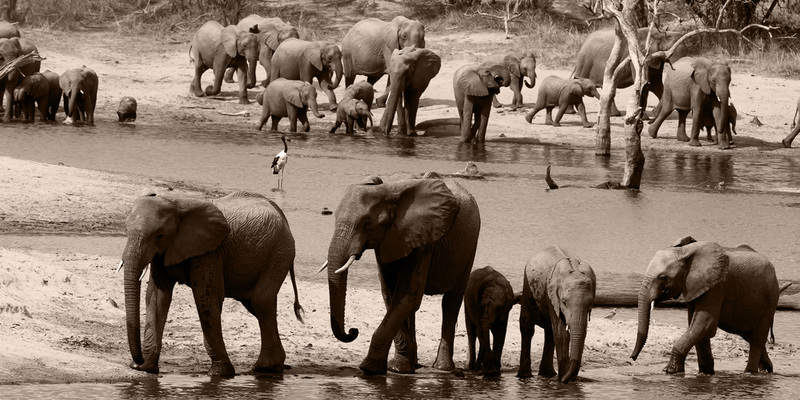 Ulusaba stands for “place of little fear.” And the Ulusaba Private Safari Game Reserve is undeniably a safe haven. 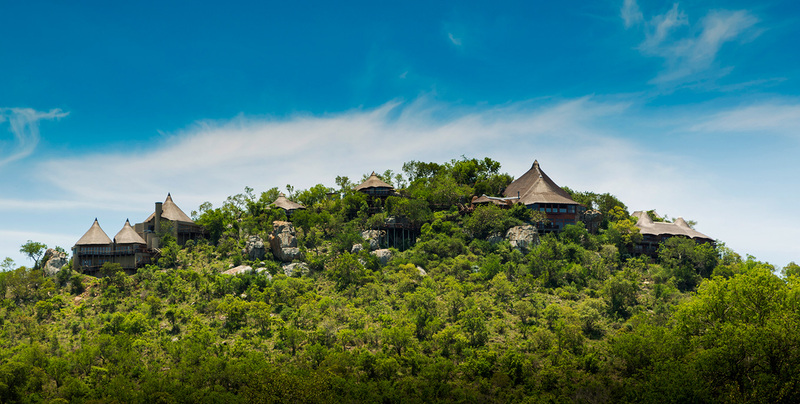 It is a luxury safari situated in the Sabi Sand Reserve in South Africa and owned by Sir Richard Branson. A significant place in the history of the local Shangaan tribe for the hills was once used an outpost by tribal chiefs and warriors. 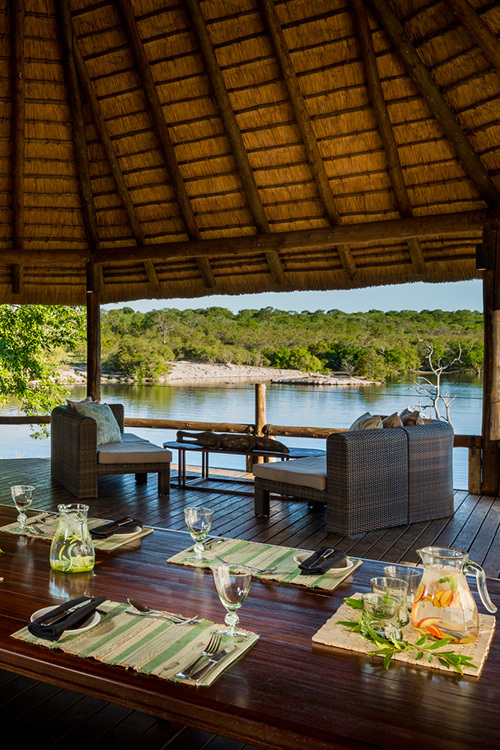 The Ulusaba Private Safari Game Reserve is a world class retreat with two luxury accommodations. The Rock Lodge and Safari Lodge are just about 500 meters apart from each other. Ulusaba offers unique and unparalleled safari experiences for all ages. The best part is you can do as little or as much as you like. From the awe-inspiring scenery and thrilling adventures, you will definitely enjoy every moment of your stay in Ulusaba. 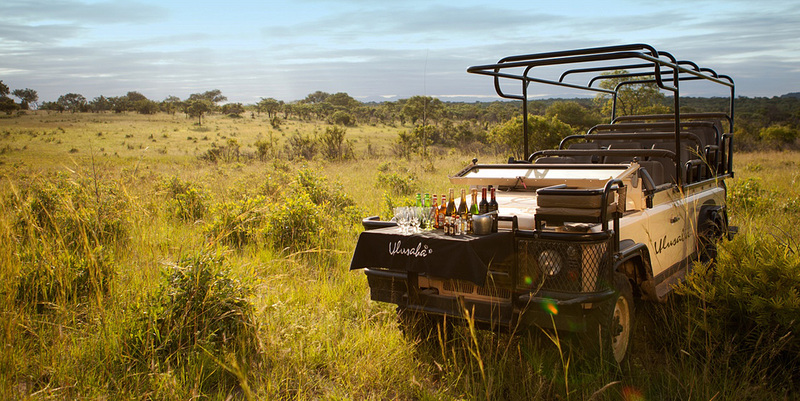 Imagine that you’re on a luxury safari for the first time. The morning leopard sees you but can you see it? It’s an incredible feeling to see a wild animal in its natural habitat. 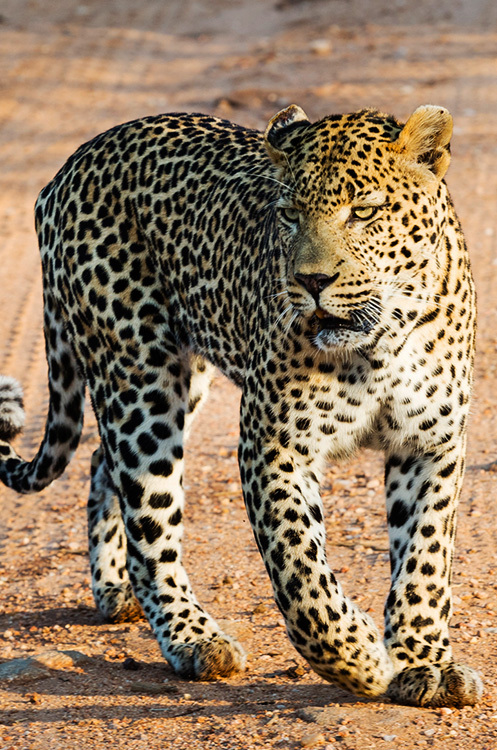 Set eyes on any of Africa’s “Big Five.” Back then it’s a term coined by game hunters that refers to leopards, lions, elephants, rhinos and buffaloes. These are the five animals that are the most difficult and dangerous to hunt in Africa. First things first. 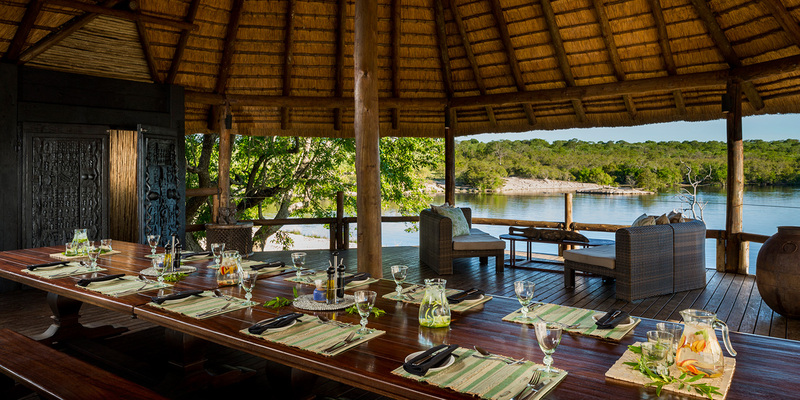 Have a filling and satisfying breakfast at the treehouse viewing deck at the the Ulusaba Safari Lodge. Try the poached eggs on a boerewors patty. You’ll find the unobstructed view of the Xikwenga Dam within the Sabi Sand Game Reserve quite fascinating. It is a marvelous setting further into the open bush. The treehouse viewing deck is also a great spot to observe wildlife. As soon as day breaks and at 5:30 a.m. the early morning game drives depart. It’s the best time of the day to see wildlife. 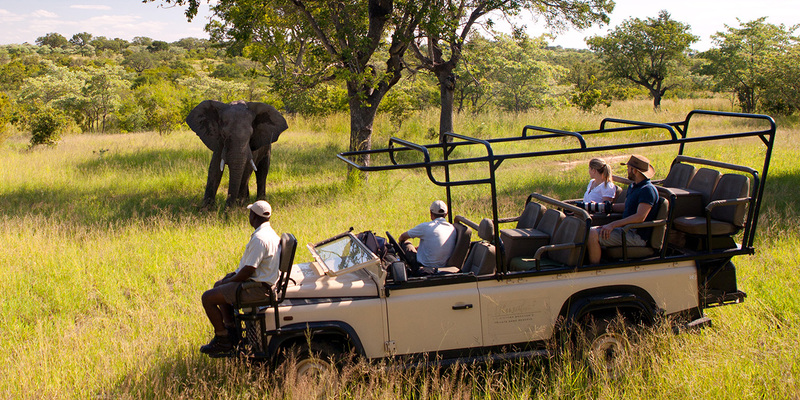 Explore the open African bush with Ulusaba’s qualified as well as experienced rangers and trackers. If you have been on a safari in the past you are well aware that every game drive is entirely different. 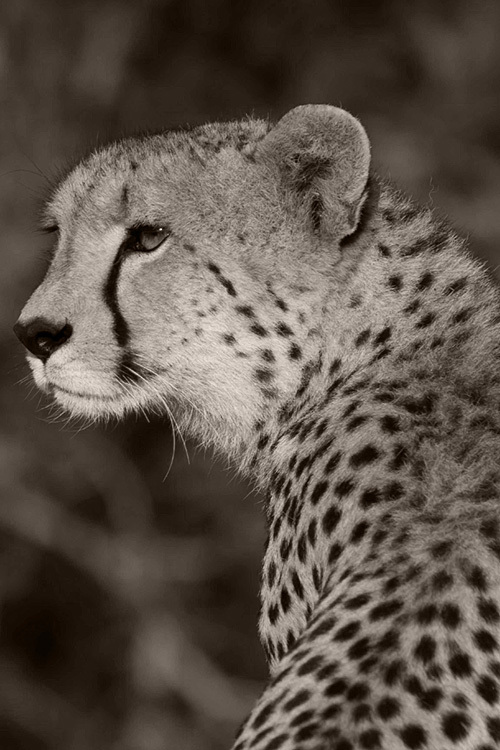 Discover the Sabi Sand Reserve and cover 13,500 hectares of land with thriving flora and fauna. Lion cubs have been seen play stalking, leaping and tackling each other at Ulusaba. 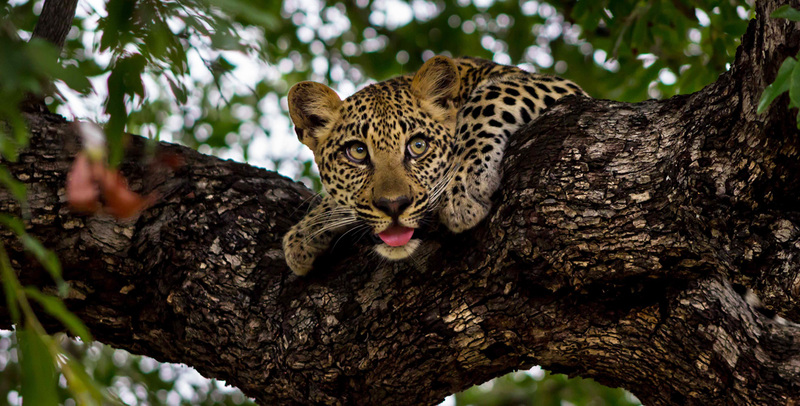 You see bush and wildlife conservation is Ulusaba’s top priority. Ulusaba rangers are sensitive of the surrounding environment. Each of the experienced rangers operates game drives with extreme care and the least amount of impact. They all make sure that the animals, the plant life, no matter how big or small, and the terrain are protected. 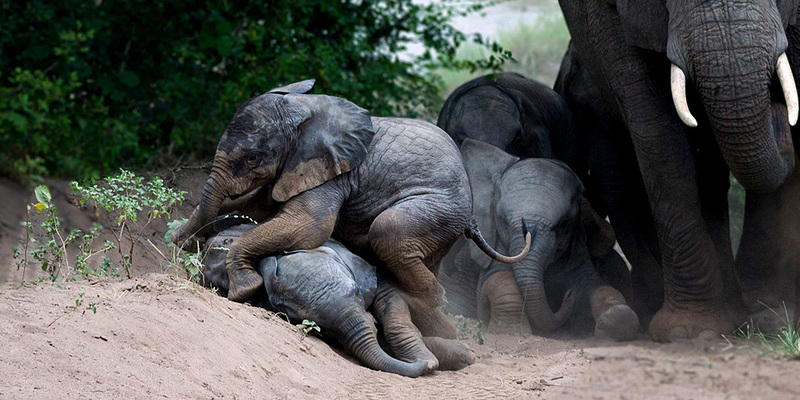 Game viewing throughout the winter can be an exhilarating experience. Food becomes scarce and in the animal kingdom it’s all about surviving in the wild. Animals get desperate and compete for sustenance. Doing whatever it takes to stay alive in the bush. As the lion cubs grow they learn to hunt with the other members of the pride. Together they prepare for battle with other mammals such as hyenas as they stalk for prey. 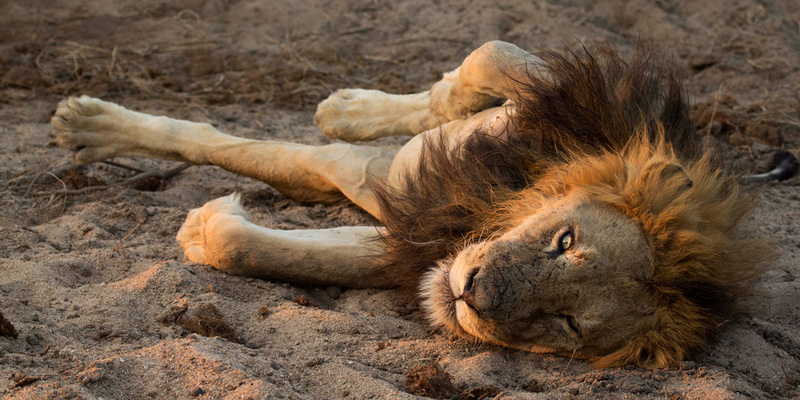 For the most part of the day you’ll see the African lion lying on its back sleeping. Lions are active at night and from time to time begin hunting at twilight. The male lion is easily identified because of its mane. The lion’s mane is a distinguishing characteristic of the adult male cat which is unique among feline species. It serves as protection as they fight intruders to guard its cubs and its territory. After a spectacular morning with wild encounters you find yourself ready for a hearty meal. 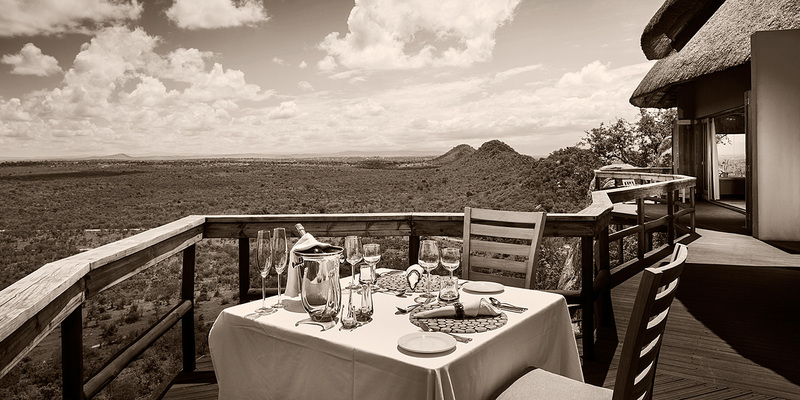 Dine at the Safari Lodge and pick something out of the menu. Each of the pan-African dishes on the list are developed by internationally renowned chefs. With gustatory delights that offers flavors of the African cultures. Not only that recipes are constantly refreshed, carefully prepared and cook with local and seasonal ingredients of the finest quality. 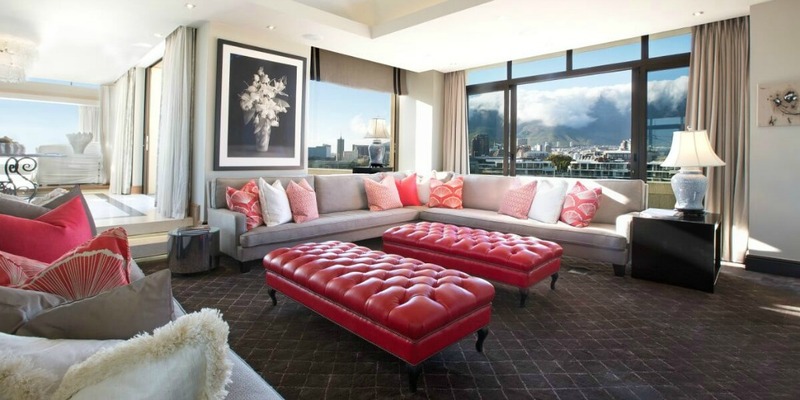 Following a substantial meal you head to a private lounge to get some rest. It was a morning to remember just like any other great day at Ulusaba. 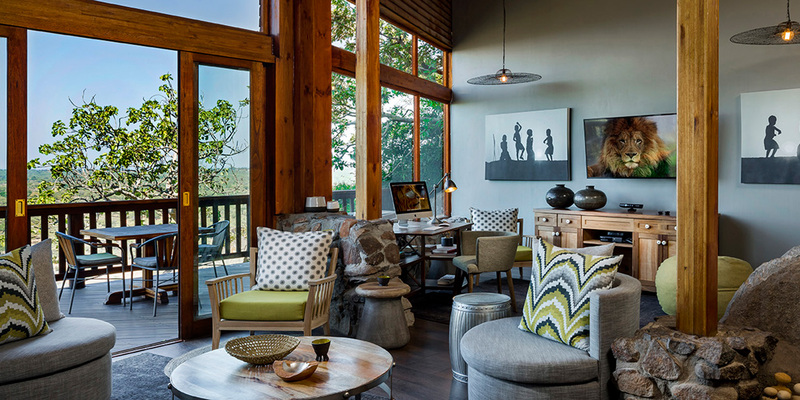 The inviting living spaces at the Rock and Safari Lodges mirror the untamed but serene characteristics of the wilderness. 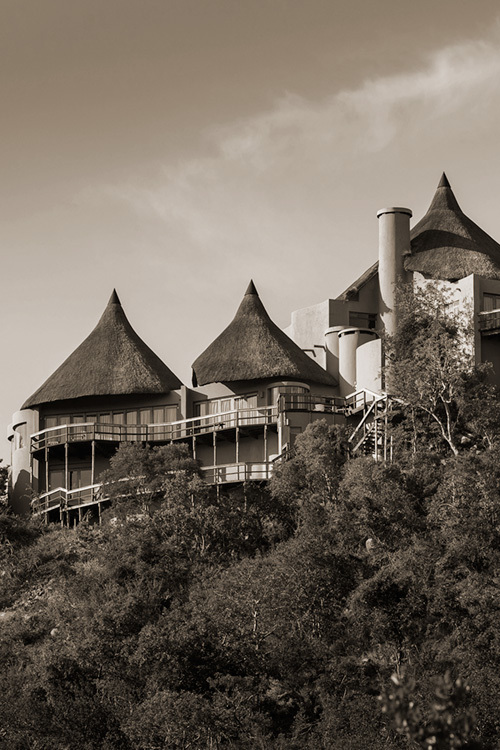 Keep in mind that the Rock Lodge accommodates up to 25 guests and the Safari Lodge houses 22. It is the ultimate luxury safari venue in South Africa. At 4:30 p.m. all is set for an evening game drive at Ulusaba. But before leaving you might want to have afternoon tea first on the patio. 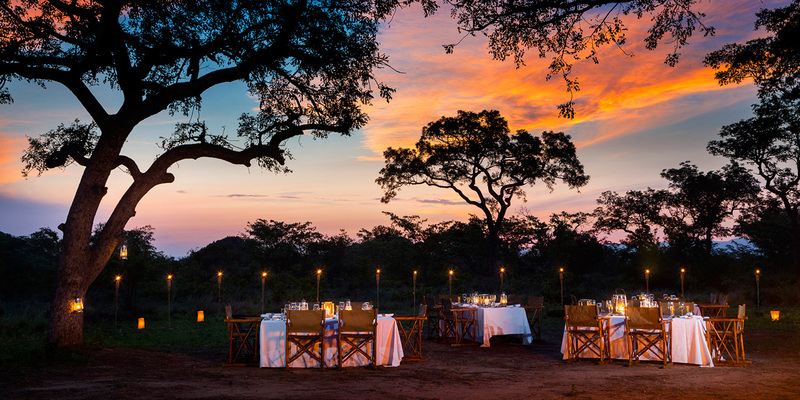 As the sun sets on the African bush and the darkness slowly sets in sundowners are served. Nocturnal creatures now roam the grasslands. The magic happens as nature’s spectacle unfolds before your very eyes. Come across a gentle giant or witness an elusive predator searching for prey. To be able to get close and touch these magnificent creatures will change your life. The elephants are intelligent with a compassionate nature and are likewise delighted to interact with humans. Exchange trunk greetings and offer them tasty treats on the banks of Sabie River in Hazyview. Experienced elephant handlers will also assist you and share in-depth information about elephant behavior during your Elephant Whispers excursion at the Sabi Sand Game Reserve. And that’s just the beginning. You will experience handing out pellets to the enormous animals. You will also have the opportunity to touch the elephant’s trunk, tongue, skin as well as its feet and feel its varying textures. After which get ready to saddle up on the elephant’s back riding the gentle giant as you set off to the African bush. The Xikwenga Dam at the Sabi Sand Reserve is a place where you will find hippo pods. You can see this semiaquatic animal enjoying the water all through the day to remain cool. Hippos are only territorial when they are in the water but prove to be nonterritorial when on land. When night falls they emerge from the water. They start grazing feeding on grass and every now and then eat plants. After a scenic game drive you head back to the Safari Lodge. You just witnessed how animals go about their daily existence and it was incredible. 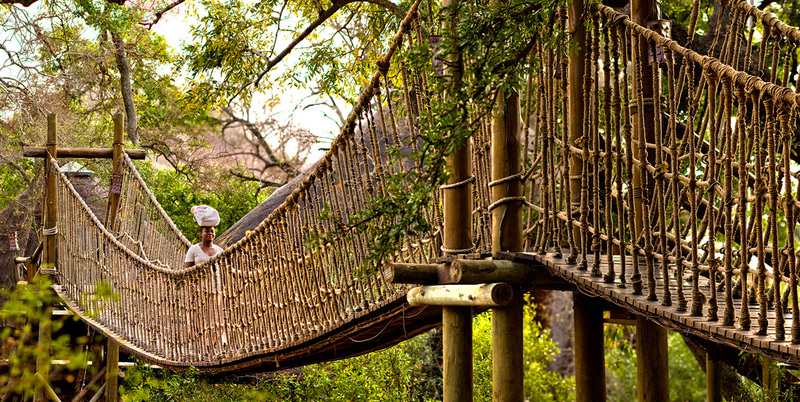 The Safari Lodge is set under a canopy of ancient trees in the bush and on the banks of a dry riverbed. Walking to your room there is a sense of adventure as you pass the swing bridges and raised walkways. 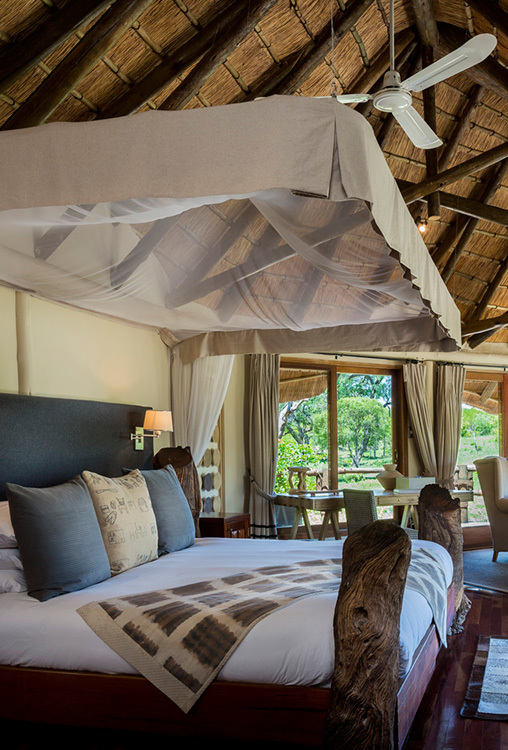 The spacious Treehouse Suite at the Safari Lodge in Ulusaba offers complete privacy. You will fall in love with the view of the Xikwenga Dam. It is the perfect luxury accommodations for honeymooners. And the ideal room choice for bird watchers and photographers. There’s one more thing you should know. From the private deck you will catch sight of animals like elephants and hippos bathing under the heat of the African sun. 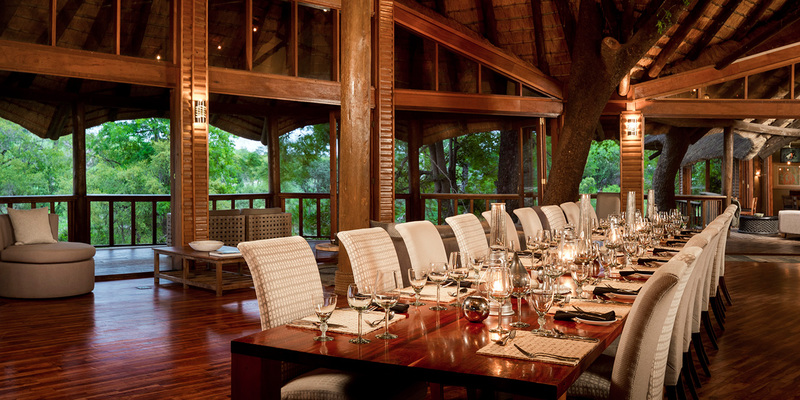 Sharing meals can be an intimate experience at Ulusaba. If you prefer dining in the privacy of a secluded deck or a choice location it can be arranged. Take it easy and make the most out of your time at Ulusaba. Relax with a bottle of wine and enjoy an appetizing dish. Fact is there is something exotic about this romantic wilderness setting that it lures you time and again. 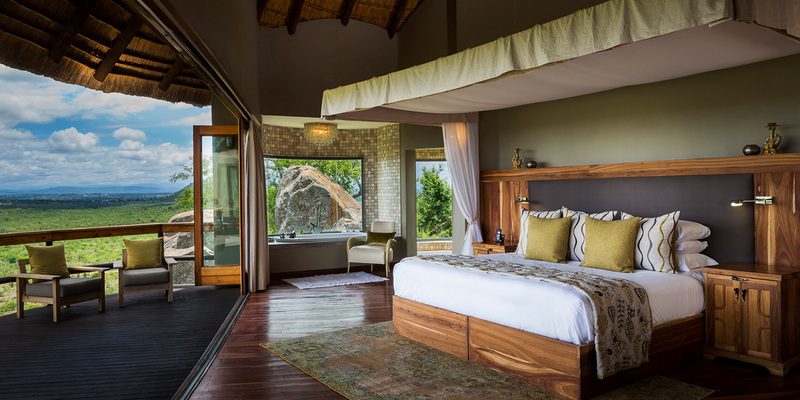 The Cliff Lodge at Ulusaba’s Rock Lodge is a lavish two-bedroom suite with sweeping views of the majestic plains. It has one large bedroom as well as a second smaller bedroom. What’s more it has a private outdoor deck with a big pool that three adults along with two children will enjoy. The Cliff Lodge also includes a sizable lounge with a fireplace, separate bar and kitchen plus a mini spa and gym. 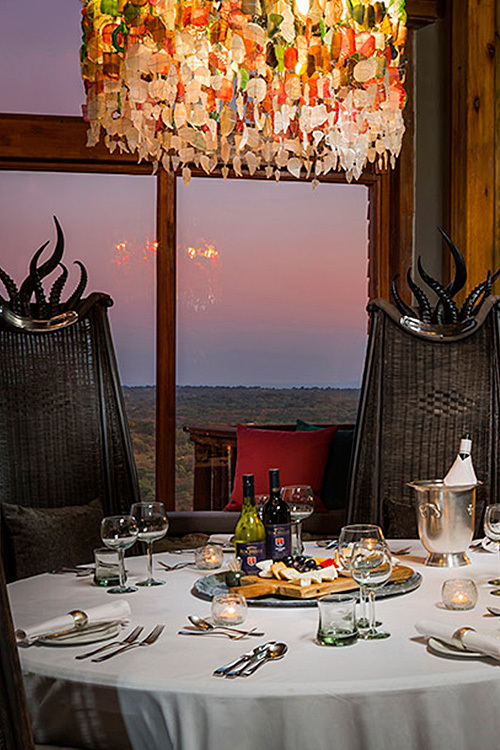 You can have dinner in the heart of the bush in Sabi Sand. 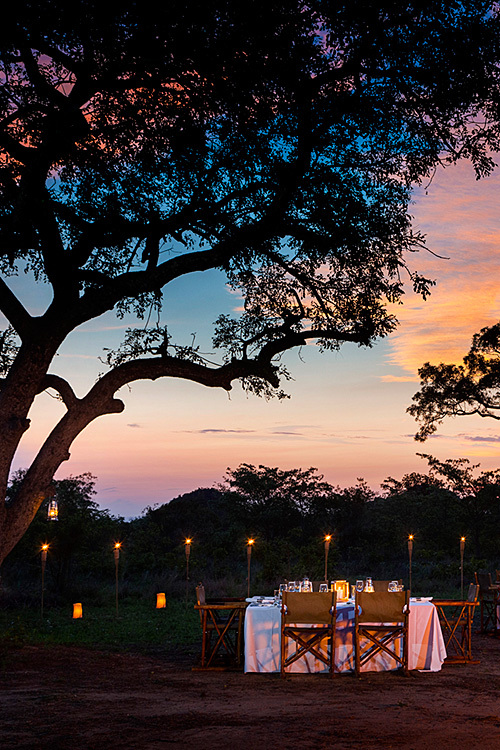 Your evening meal a traditional Braai set underneath the enchanting African sky. A Braai is similar to a barbecue with a casual and relaxed mood. Eating and talking about the significant moments of the day that just ended with friends, old and new ones, as well as with the family. Here’s the really great part you can also sample the local specialties. As night falls there are still things to see. 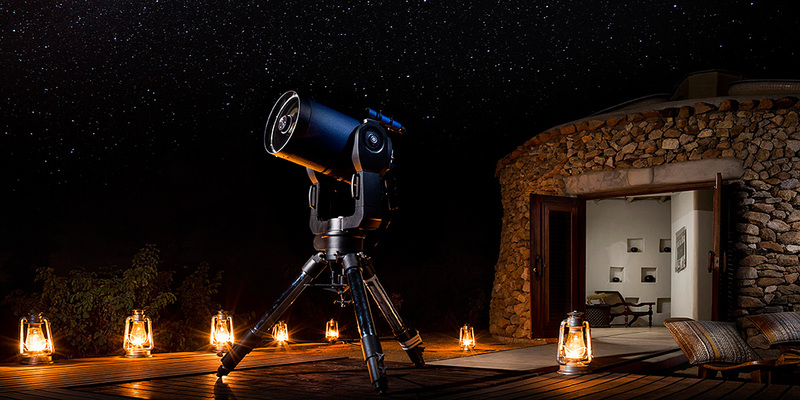 The Bush Observatory is a unique feature of the Ulusaba Safari Private Game Reserve in Sabi Sand. Fix your eyes on the heavens gazing at the stars. The lodge rangers will help explain more about the constellations seen from points in the southern hemisphere. Think about all of it. 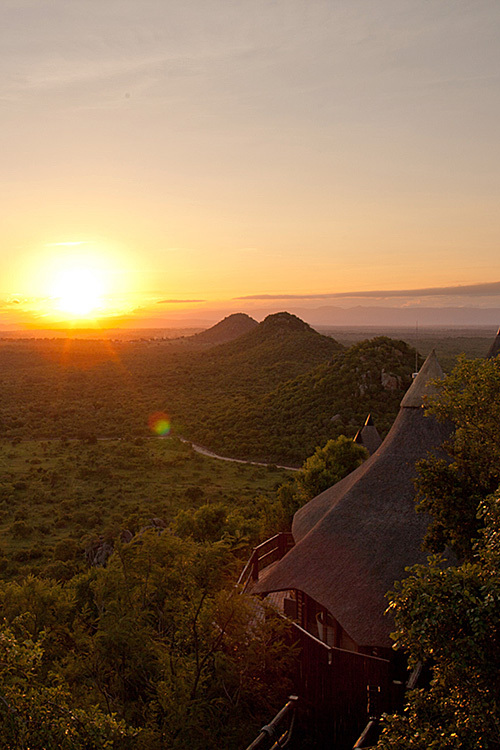 It makes you want to pack your bags and plan your visit to Ulusaba.